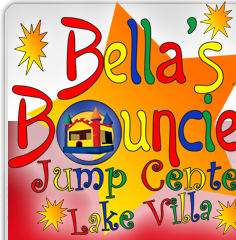 Jump Center Party Packages | BellasBounciesIndoors.com Lake Villa IL. 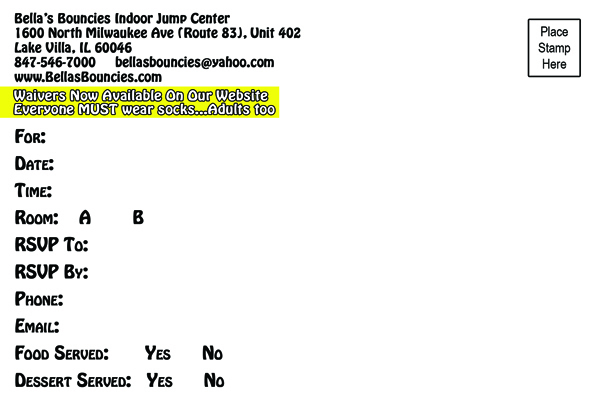 Bella's Bouncies Indoors offers both private and open jump parties. 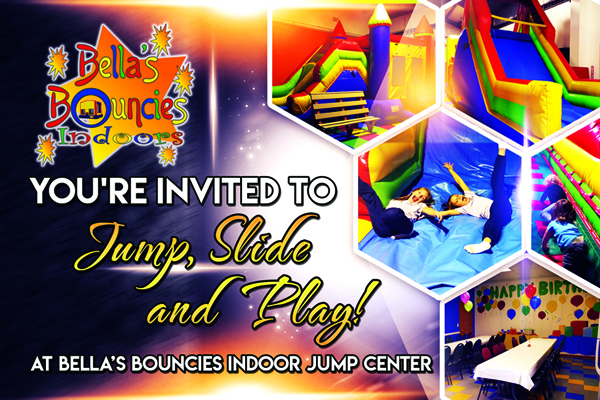 Private parties include up to 30 children, while open jump parties can accommodate up to 15 children. Below is information on both. For both options you will receive two full hours in the private party room and the jump room. You'll also get all of the extras below. All participants must sign the online waiver. Do it at home by clicking on the link below, or on one of our tablets when you come in. Waivers are good for up to 12 months. Visit our FAQ page for more party details. We have flexibility with the times during the week. Call if you need a slightly different time. Times vary based on our open jump schedule for the day. Please call for available times for your specific date.